Bonjour! Alas, I have returned from Paris. Happily I managed to fit lots in, eat my way around the city and take lots of photos, so it’s not too miserable. Chris and I managed to do loads of the things we had planned and basically now we plan to become Parisian and wear stripy tops and berets forever. 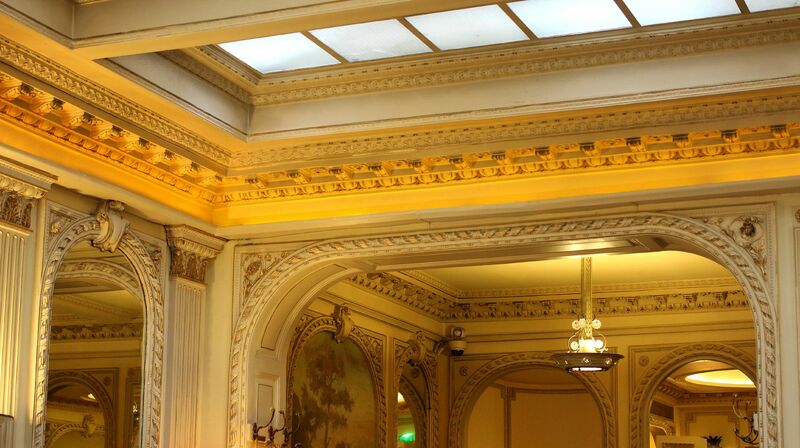 We managed to go via the Eurostar and stay in a cheap hotel which was only a quick metro ride away. As a photo diary, I’ve managed to whittle down the 10 thousand photos I took and edit down our trip into the 15 things you absolutely have to do in Paris. 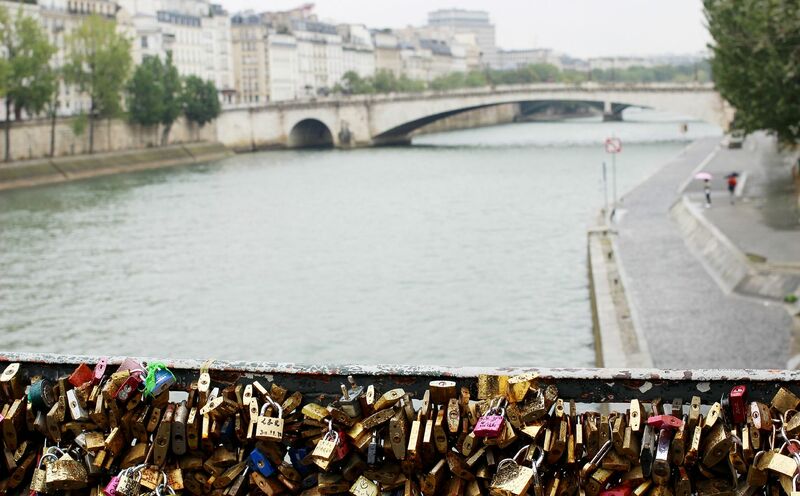 Now if you’ll excuse me, I’ll be looking at the photos, eating a baguette and crying forever. Take me back? 1. 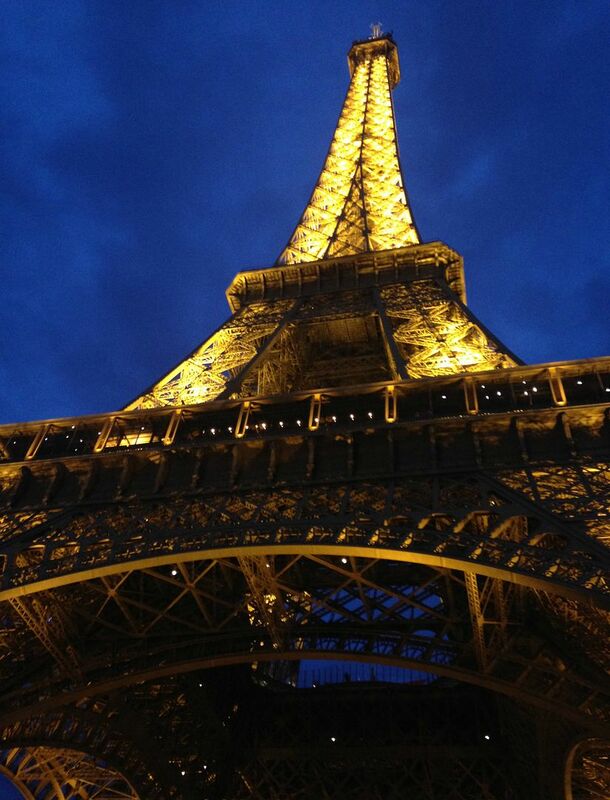 See the Eiffel tower at night. Yeah it’s pretty lush all of the time but at night it goes sparkly and magical and so much better. 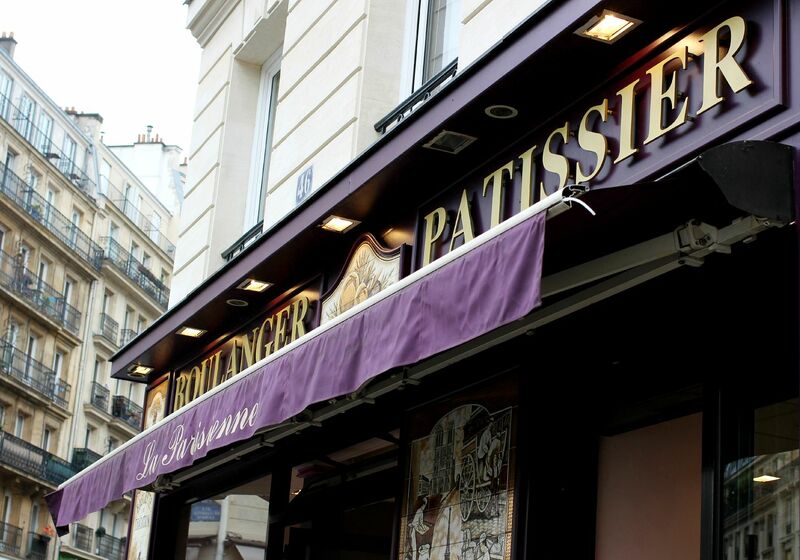 It’s open until 11, so plenty of time to be all romantic and feel oh so Parisian. 2. 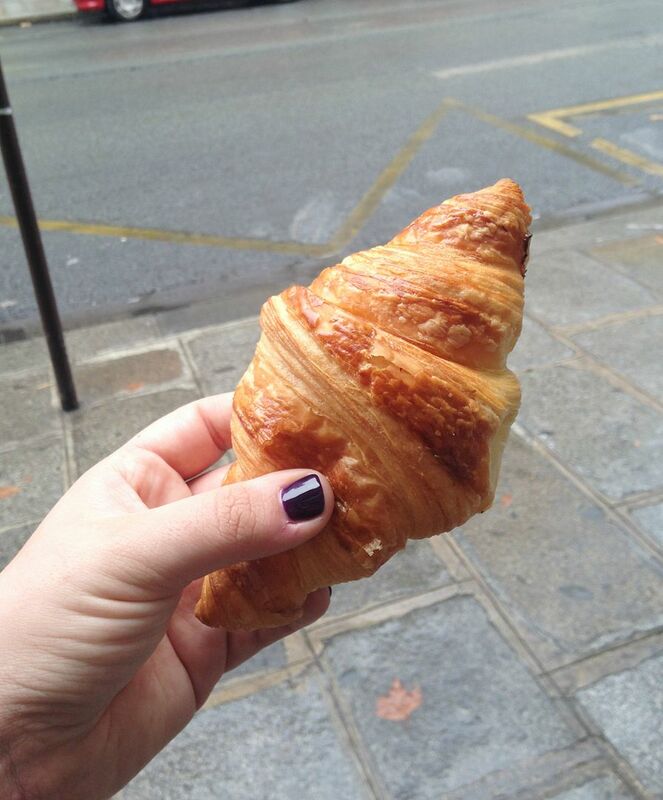 Eat croissants from the Boulangerie Patisserie La Parisienne because they were only €1 and so so amazing. If you want a cheap and delicious breakfast, this is the one. There’s a nice cafe across the street that also did delicious espresso for €2. 3. 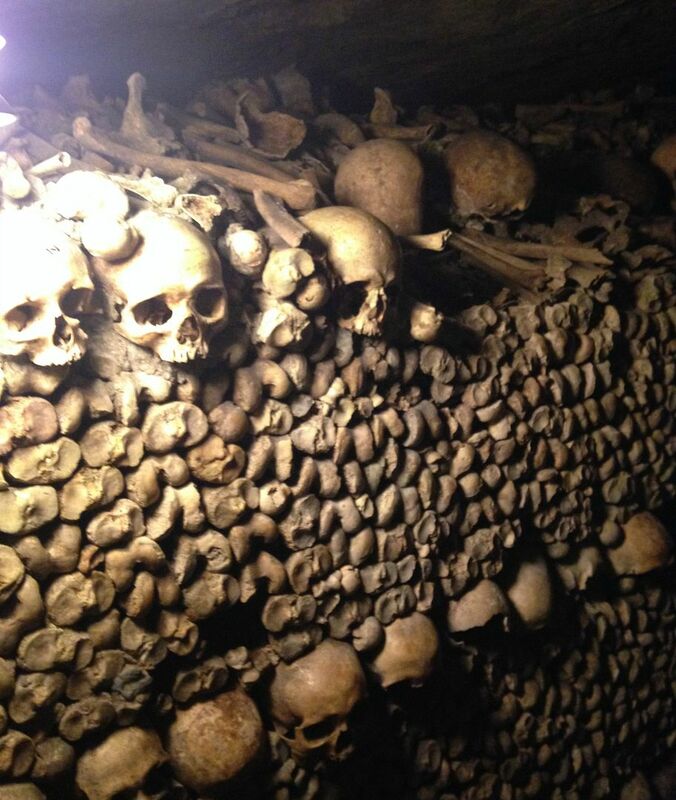 Go to the catacombs and walk among the dead. Although be prepared to queue for for the longest time – we were waiting for 2.5 hours. I know. The horror. Once inside though, it’s pretty incredible and v creepy. 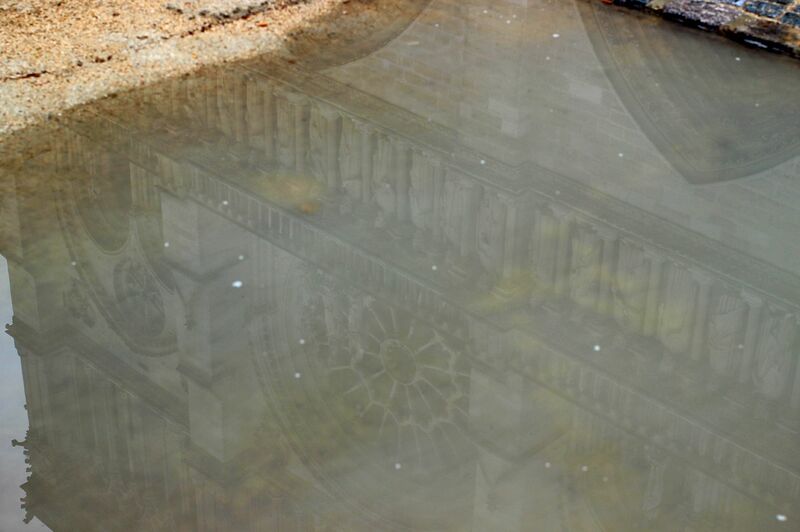 Extra bonus points if you’ve watched ‘As above so below‘. 4. 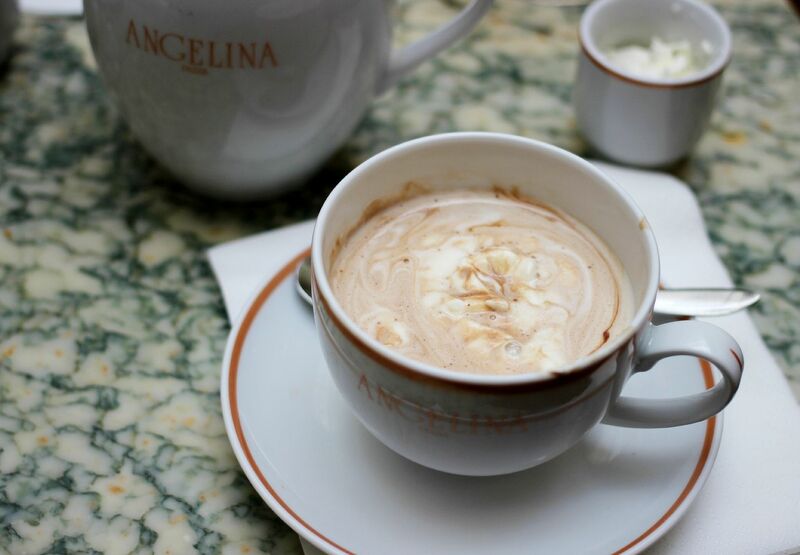 Have a hot chocolate from Angelina’s. Ok wow. This was the best hot chocolate of my life and it was pretty much what unicorn tears would taste like. It’s so rich that they give you a glass of water to drink along with it because I assume your head would explode from sheer chocolate bliss if you didn’t dilute it a bit. 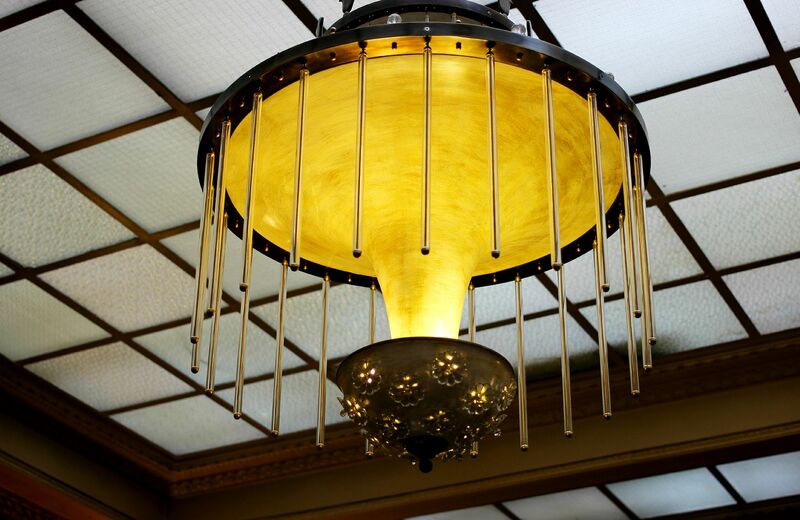 Go to the one on Rue de Rivoli (there are a few branches), because the decor is like a 19th century ballroom and you will feel like a princess. From that branch it’s also a 5 minute walk to the Louvre, so you can look at the Mona Lisa after drinking the best hot chocolate ever. 5. Go to City Pharma. Brace yourself because it is insane inside. As in, i read about it being busy and thought ‘pah! It can’t be that bad’, but it is! So many people in such a small space and SO much skincare. City Pharma had the best deals that I saw, and had the biggest selection. 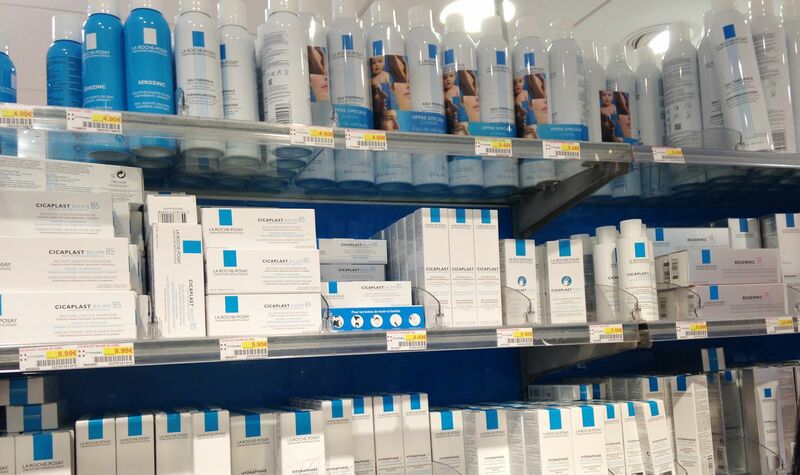 Gorgeous skincare that you can’t get in the UK and loads of cheaper prices than the stuff you can get. A no brainer for skincare junkies. 6. 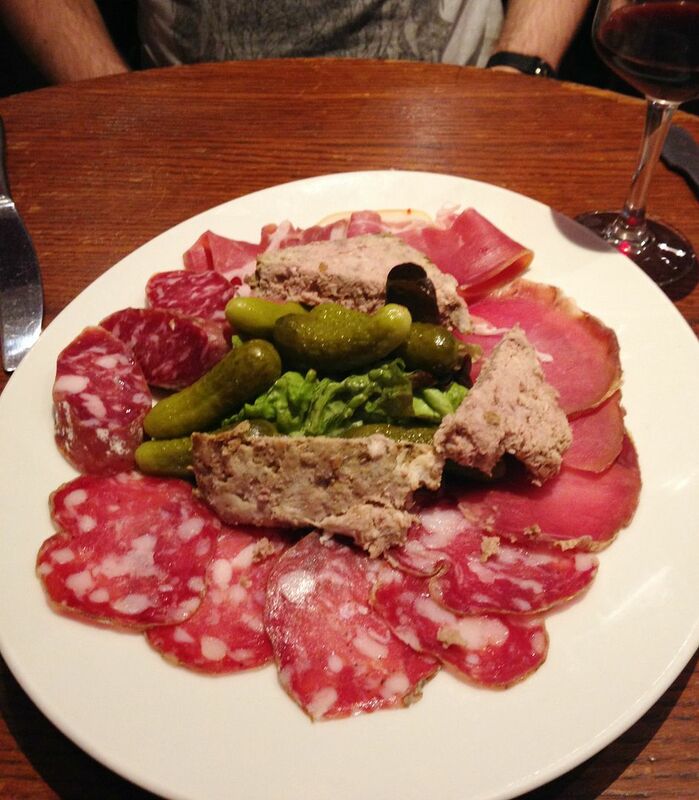 Have dinner at Le 14 Juillet because they had the best selection of meat and wine for such a good price with friendly French waiters. We were one of the only English couples in there, so I can only assume that the local Parisians approve as well. We had the juiciest red wine, the best meat and the most amazing blue steak. Mmm take me back please. 7. 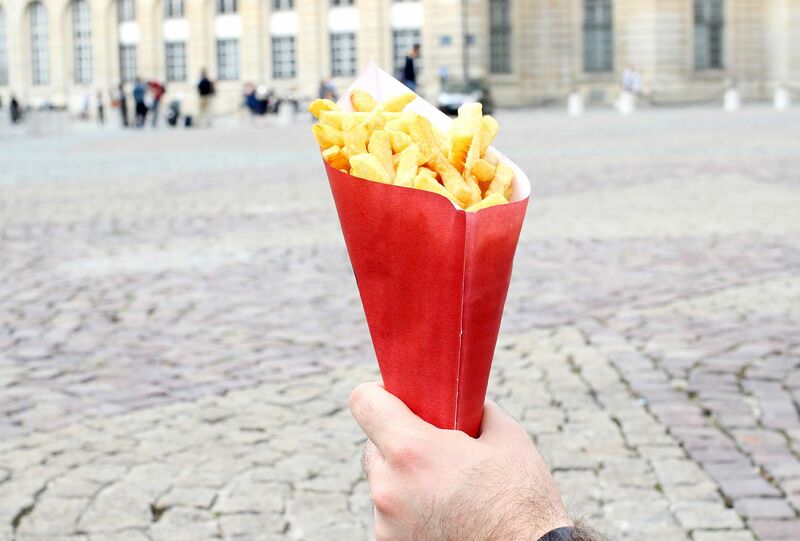 Get Chips from Le Clercq frites and eat them on the steps of the Pantheon. Um because even gorgeous cultural buildings like the pantheon can be made better with a big cone of chips. Fact. The chips from Le Clercq are incredible and the cafe is right around the corner from the Pantheon (which is gorgeous and well worth a trip). 8. 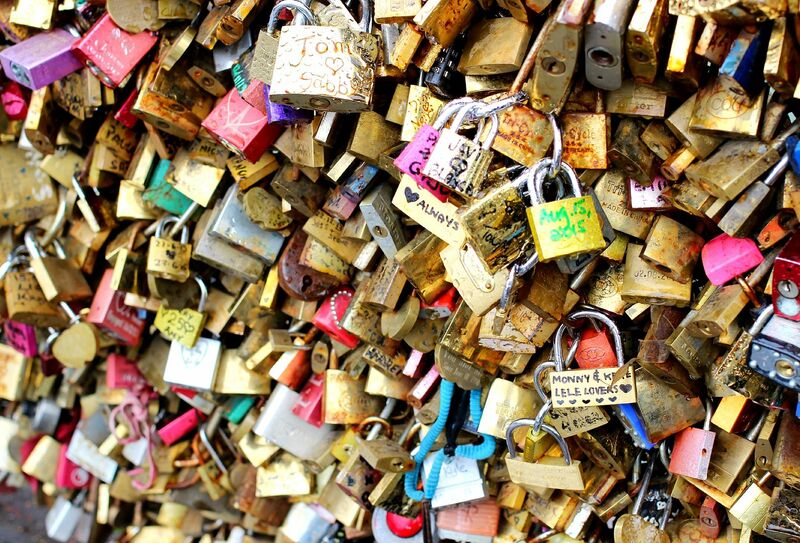 Walk along the Love lock bridge and look at how lovely it looks. Don’t put one on because they’ve started to cut them down apparently! When we were looking it was kind of rainy and the locks looked even prettier and shinier. 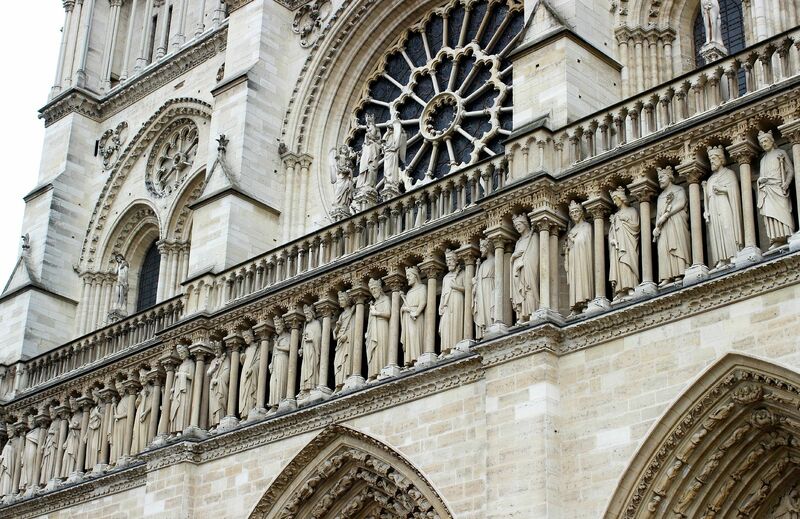 From there you can look up at Notre Dame and walk over. 9. Go to Notre Dame and maybe pretend to be Quasimdo and claim sanctuary on the steps. Maybe. The cathedral is one of the most breathtaking buildings I’ve ever seen. 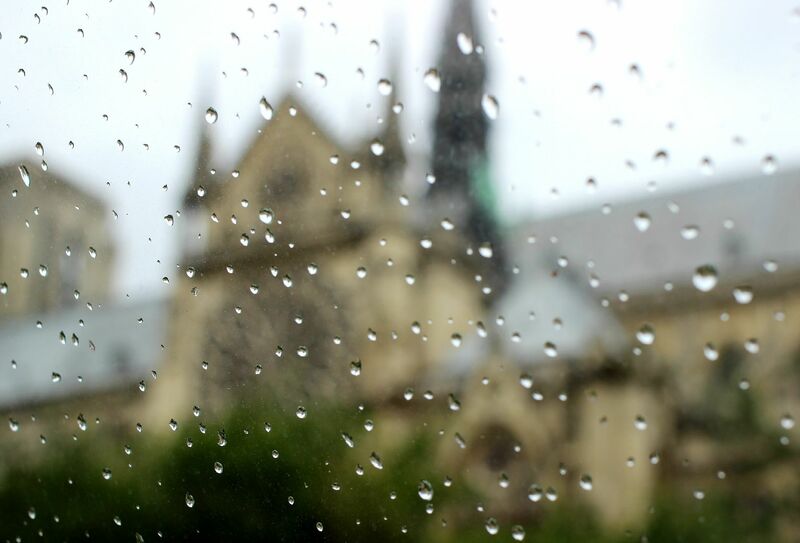 The creme de la creme of French gothic architecture. Hearing the bells is magical. 10. Go on a boat tour of the Seine. You can board a boat right near Notre Dame – we went for the batobus – and it goes all along the Seine so you can see the eiffel tower from the boat. 11. 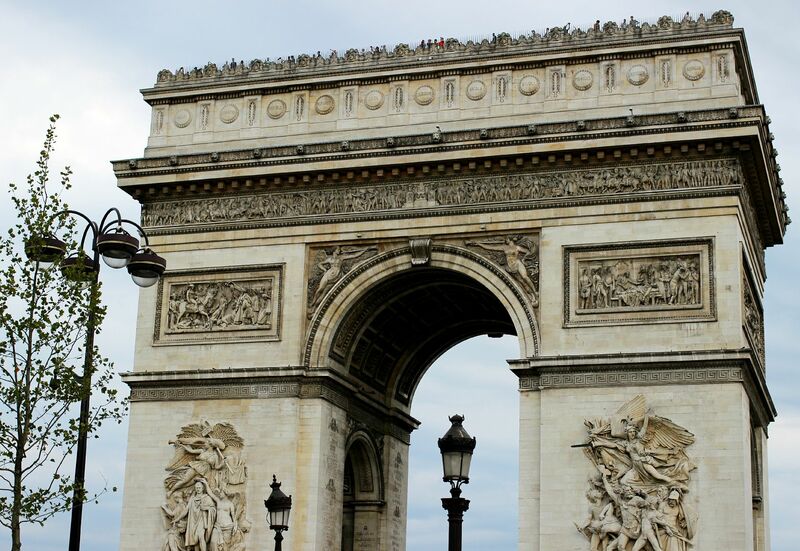 Walk up the Avenue des Champs-Elysees towards the Arc de Triomphe. 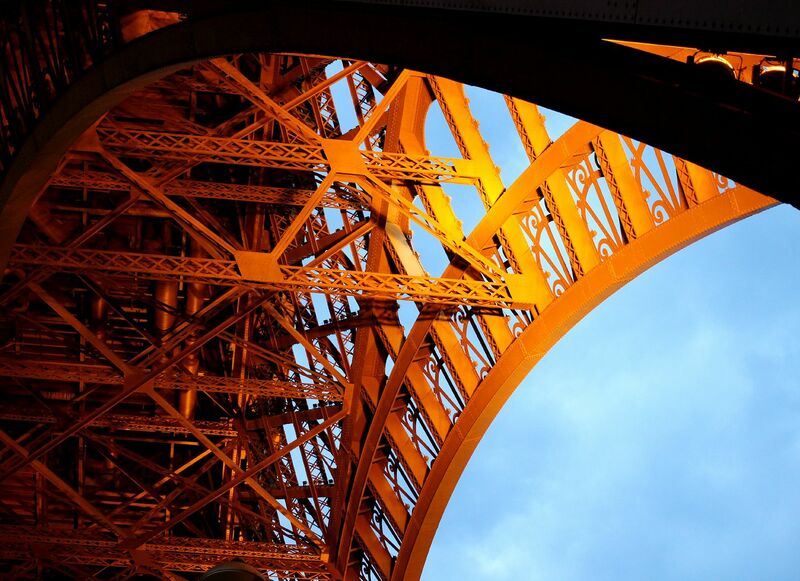 The road has a million shops to look at – Sephora – and then when you get to the top you can peep up at the amazing Arc. It’s pretty special, and you can look at all of the names of the people from the French Revolution and the Napoleonic wars. 12. Go to the Diptyque boutique on Saint Germain and pretend to be really fancy. Maybe buy a candle if you’re feeling indulgent (always), and look at all the lovelies inside. 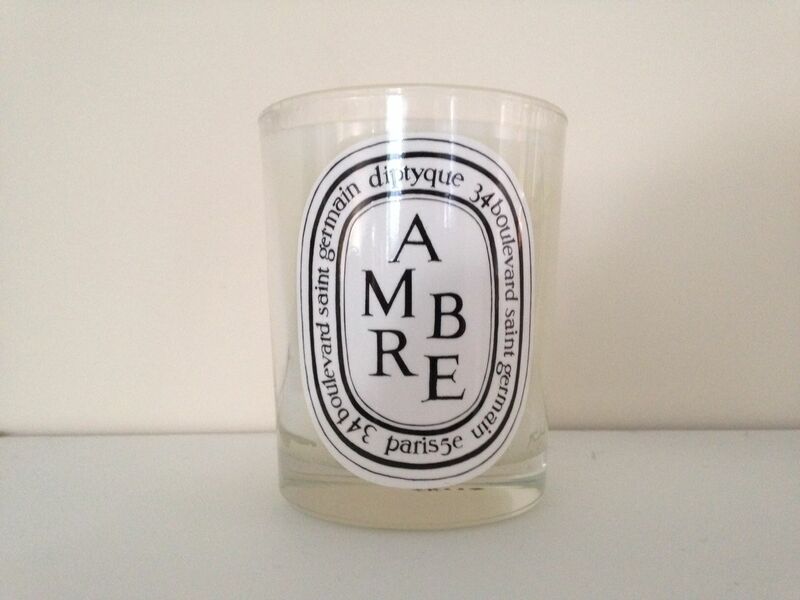 I bought the Ambre candle and it’s too fancy to use right now. 13. 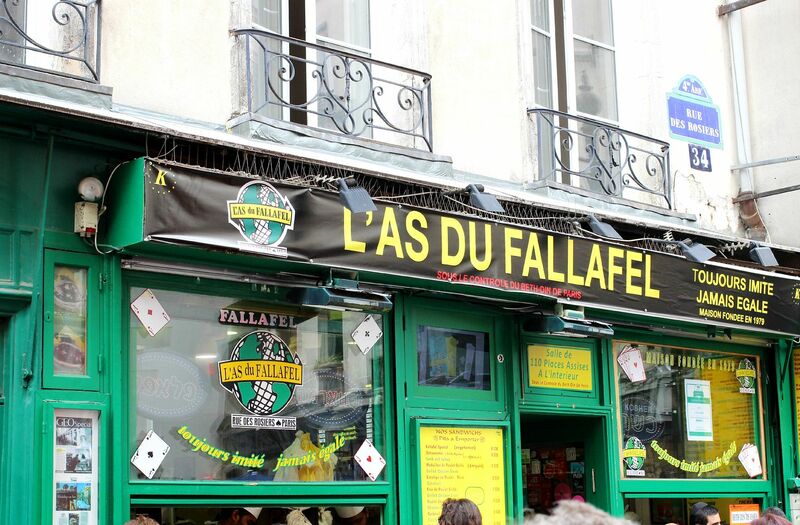 Eat the best fallafel of your life at L’as du fallafel. Seriously. 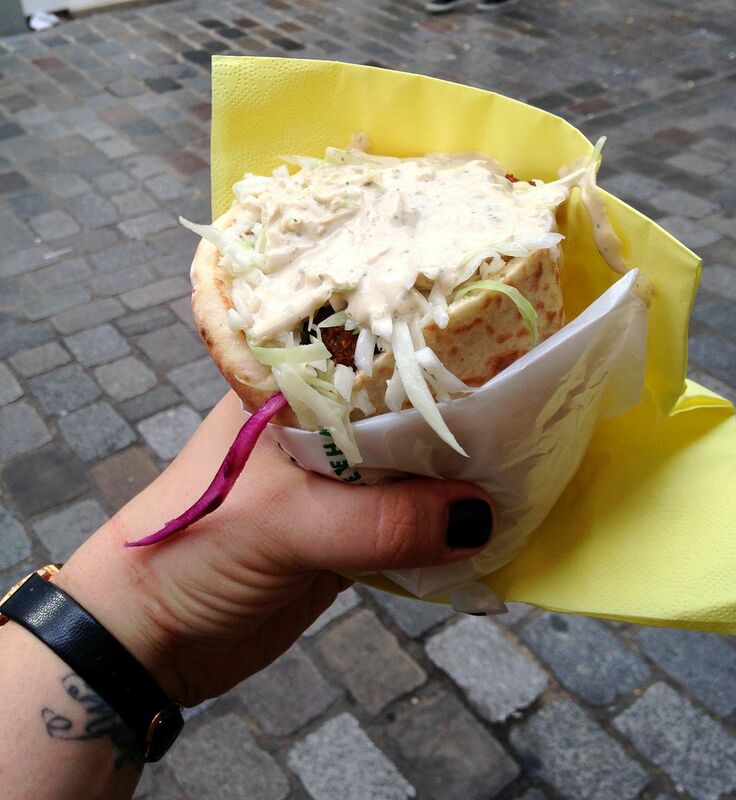 Right in the heart of the jewish bit of the Latin quarter and extremely busy, order a fallafel and then eat it sat on the pavement as you get the sauce all over your face. I couldn’t even finish mine, that’s how big it was. Luckily I have a Chris for those situations. Roasted aubergine, gorgeously crunchy fallafel, hummus, sauce, pickles and all the vegetables in a toasted pitta. Mmm. 14. 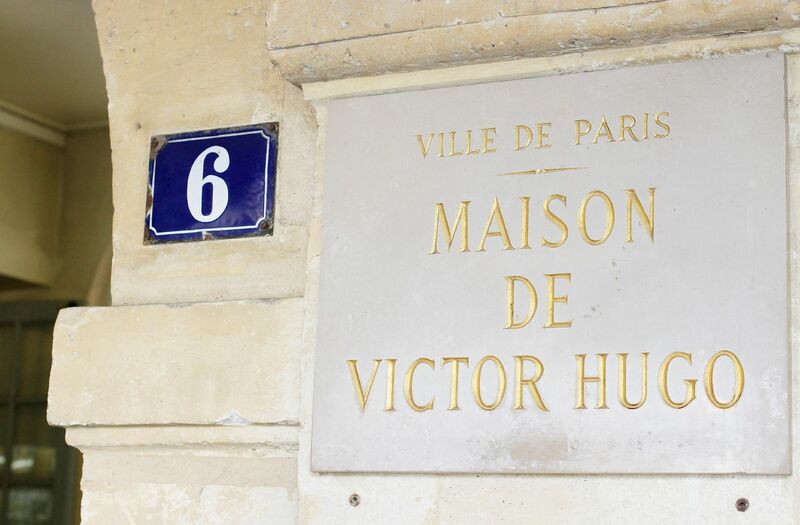 Go to Victor Hugo’s house, because it’s free and kind of amazing. 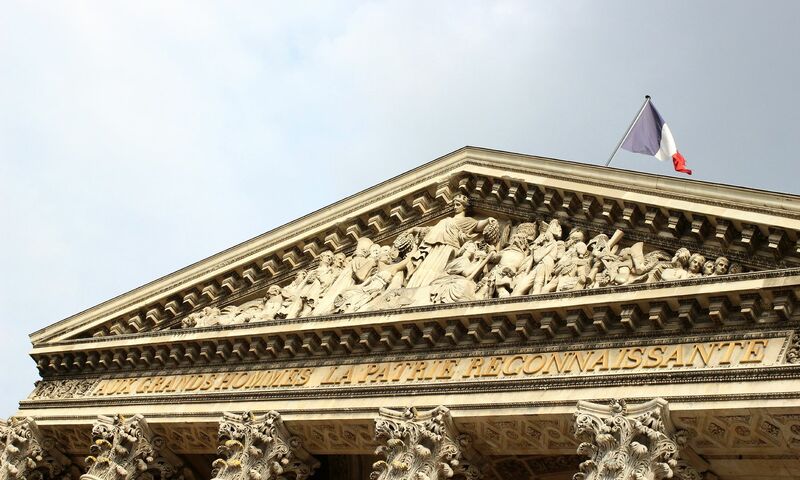 Victor Hugo is one of the most famous French authors – Les Miserables and The Hunchback of Notre Dame anyone? – and he is idolised in Paris. The building is in a quiet little corner and feels very relaxed. You can see his personal desk as well, which is pretty special. 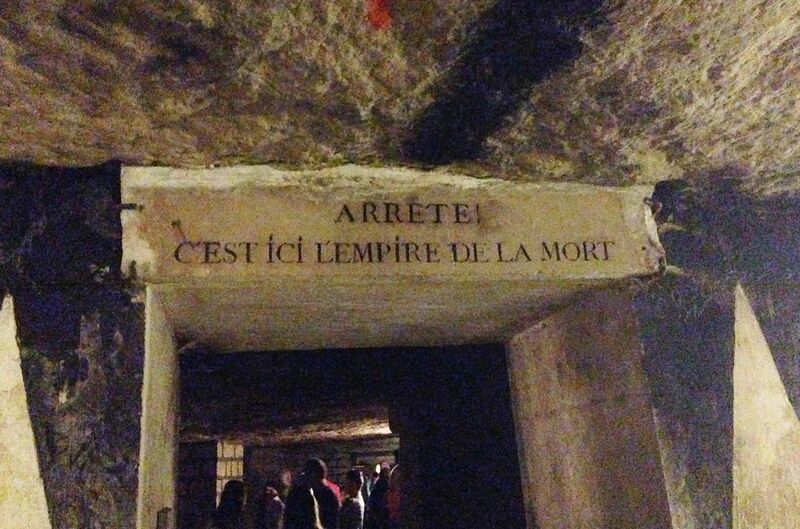 I plan on re-reading Les Miserables after seeing his house. 15. 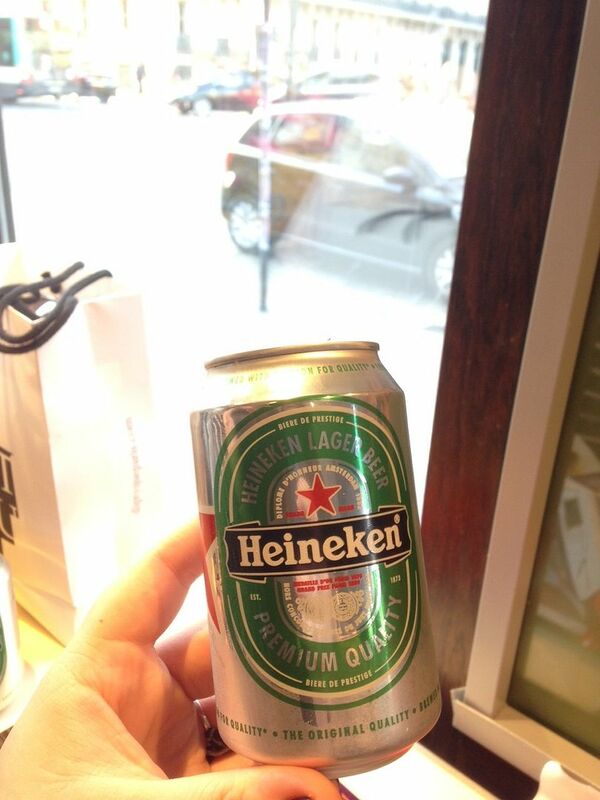 Have a Mcdonalds and a beer with your leftover shrapnel when you wait for your eurostar. When you’re sad because you’re going home, have a double (!) fillet fish and then wash away your sadness with a Heineken and replay all of the pulp fiction dialogue in your head.